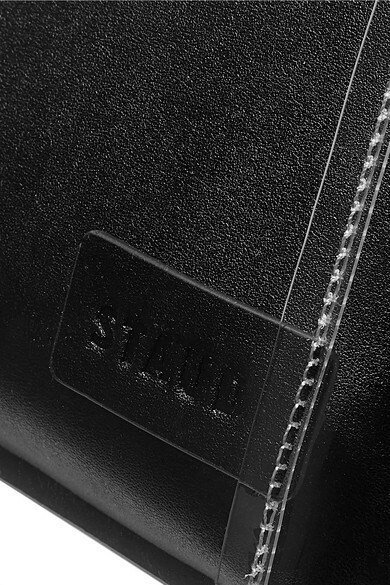 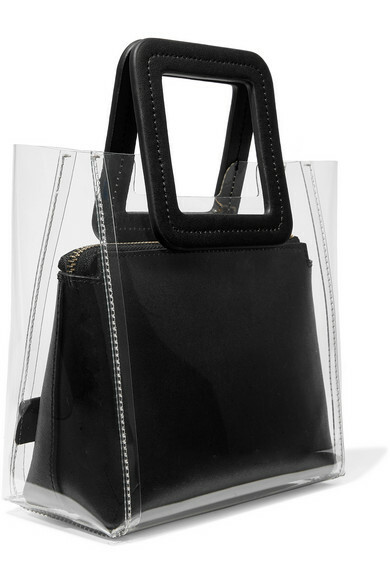 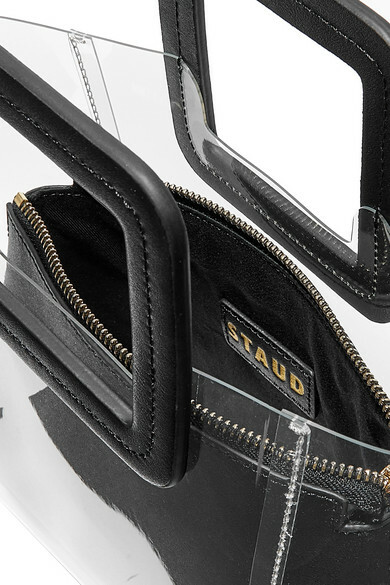 STAUD's 'Shirley' mini tote is made from transparent PVC topped with glossy black textured-leather handles. 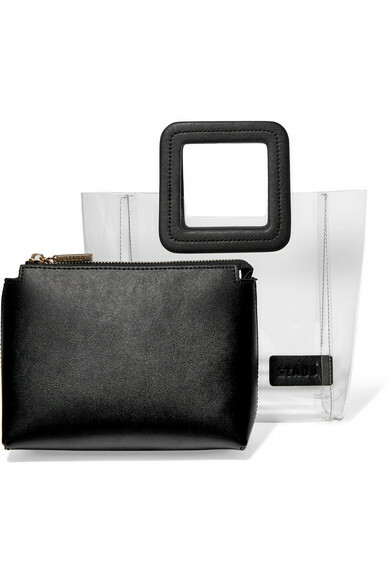 The removable zipped pouch inside is perfect for keeping your cell phone and cardholder neatly hidden away, and can be removed completely when you want to touch up your makeup on nights out. 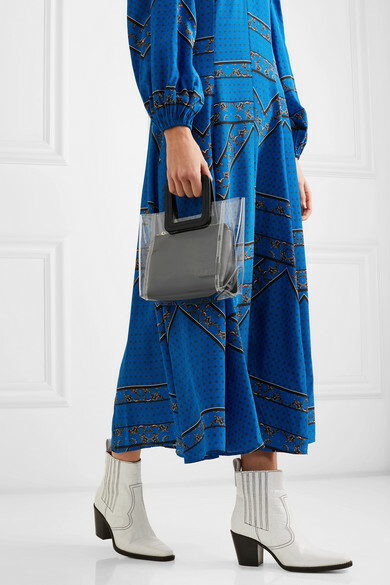 Shown here with: GANNI Dress, GANNI Ankle boots, Sophie Buhai Earrings.